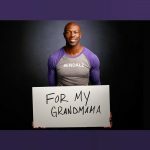 Terrell Owens earned his highest score yet for his performance on the latest episode of Dancing With the Stars! The 43-year-old former football player performed alongside his partner Cheryl Burke during Most Memorable Year Night on Monday (October 9) in Los Angeles. Terrell said that his most memorable year was when his grandmother was diagnosed with dementia as she was a huge influence on his life. Terrell earned his highest score yet for his Viennese Waltz set to the tune of Whitney Houston‘s “I Have Nothing.” He got a 24 out of 30 points!